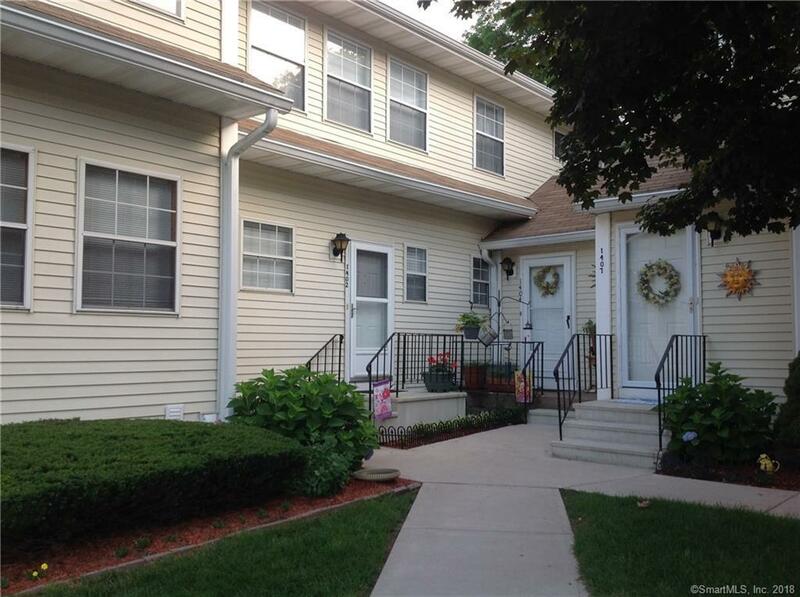 1402 Sunfield Drive #1402, South Windsor, CT 06074 (MLS #170109966) :: NRG Real Estate Services, Inc.
Move in ready! Gorgeous 2 BR Townhouse at Burr Meadows. Updated and upgraded kitchen with tray ceiling and cutout to dining room provides an open floor plan feel. Kitchen boats tiled floor, energy efficient Frigidaire stainless steel appliances, granite counters, and subway tile backsplash. Hardwood floor spread throughout first floor and into comb living/dining room with cozy center fireplace. Slider to private deck overlooking lightly wooded area. Fully remodeled half bath on first floor with stylish grey plank floor, white vanity, and granite top. Huge pantry/coat closet for additional storage space. Winding staircase takes you to 2 sundrenched BRs with 3 oversized windows in each room. Jack and Jill bathroom between the bedrooms with more closets in each room and hallway area. Custom window treatments stay. Finished lower level family room (adds another 500SF) with walkout to concrete patio. Could also be a 3rd BR. Separate storage area with room for laundry. All white trim & brushed nickel hardware throughout. Central air. Energy efficient heat pump with average monthly electric bill only $198. Detached garage just steps from the front door. Walking trails and community garden area. Close to all major highways and local shopping malls. This condo has all the benefits of owning a house without the maintenance. Listing provided courtesy of Clinton W Charter of Wallace & Tetreault Realty.